After the game frenzy of 2017, I'm glad to report that, a month and a half into the new year, the rate of new, interesting games coming out has been considerably lower than in the parallel time period of last year. I can't blame anyone for wanting to stagger their game's release now: I wouldn't want to follow the year of Night In the Woods, Mario Odyssey and The New Colossus, either. 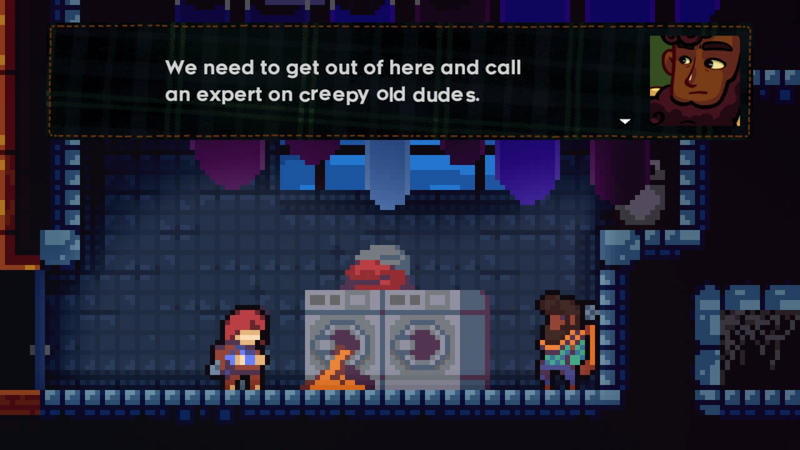 And yet, three brave titles have stepped up to attempt to grab the gaming public's attention at this early time of January-February: Iconoclasts, Celeste and Dandara. I've yet to play Iconoclasts, although I fully intend to, and I've only just started Dandara. But I've already put a considerable amount of time into Celeste and it's... not very good, is it? This is the point where I usually give the obligatory spiel about how I didn't dislike Celeste because of its difficulty, but this seems unnecessary this time, because, for a change, the Good Gamer brigade did not come out to defend this game from any possible criticism. My assumption is that they tried to reconcile the need to attack any game with a female protagonist with the need to defend any game proclaimed difficult and their little heads exploded from the contradiction du machisme. Having said that, I... actually don't think the game is that hard? It's certainly not easy, but I don't see this stumping any seasoned platformer veteran. Much like with last year's Cuphead, it's one of those games that provide a healthy, well-balanced challenged, although I... really don't think there's any point in rising up to it. My biggest problem with Celeste is that I just don't buy it. I don't mean the game itself I did buy that, and on the Nintendo eShop too, so it was pretty expensive. But I don't buy the setup of this game. With other games that sell themselves on extreme difficulty or on trial-and-error, the punishment and the grind always fits in with the world the games inhabit. Super Meat Boy was cute, but you were playing a constantly-bleeding meat-person who was fighting an evil fetus. Hotline Miami is all about nasty, casual brutality, in both setting and gameplay. But I just don't buy these cute characters, taken straight from a Scandinavian children's cartoon, as actors in a world full of evil, death and precision platforming. I don't. And although the tone of the game does get progressively darker, it's still, at least until the point where I fell off - around the end of chapter 5 - a wild, wild contrast that is never properly bridged. And even though the game never sat right with me on this level, I decided to just go with it, hoping I didn't just pay eShop prices for a game that I really didn't find all that remarkable. But what really pushed me off, what really drove me up the wall, is when the game needlessly locks you out of previous areas. 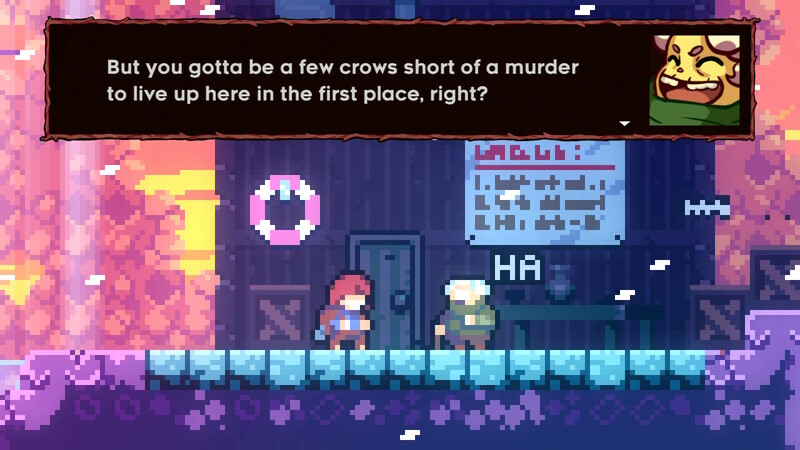 To explain why this is so annoying, I have to explain some things about collectibles in Celeste. Celeste has, as far as I could tell, four types of collectibles: red hearts, blue hearts, cassettes ("b-sides") and - the most common - strawberries. I won't get into the first three, but strawberries are basically collectibles that you get by going off the beaten path and completing challenges more demanding that those you need to just get through a level. It's an attempt to give what appears to be a pretty short game more longevity, but I find that often, this sort of thing does the exact opposite. I'd argue that carefully labeling the exact extra things a player can do puts one into a frame of mind where, once you get all of the collectibles, you've gotten everything you can out of the game. I can think of very few games with collectibles that I didn't stop playing altogether once I got all the collectibles. It's almost a guarantee that I will only play a game once. 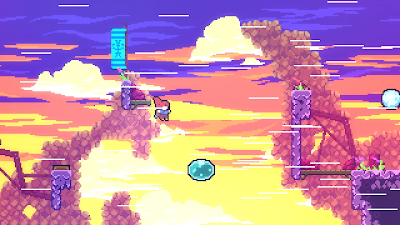 But even putting that aside, Celeste has this infuriating habit of locking you out of areas without so much as a warning, meaning that every time you go past what the game has decided is a cut-off point, if you realize you missed some strawberries in the last section, you actually have to go back to the level select screen and start the whole section again just to get one strawberry the game indicates you missed near the end. And this doesn't always even happen by choice. What finally led me to be done with this game is when an enemy explosion sent me to the next room prematurely, with a strawberry still in plain sight in the room before, and with no option of going back. And yes, the game does tell you that you don't have to pick every single strawberry up. But the truth of is, much of the challenge and the fun I've had with the game was when I was trying to pick up strawberries. Just getting through the game's main path felt, to be frank, a bit dull. And that's a shame, because the plot bits up to that point really started to hint at much more interesting things coming up. 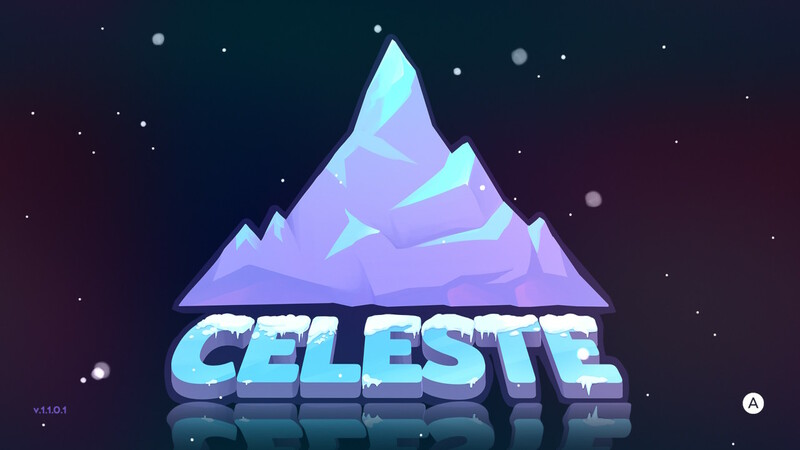 Celeste is not the name of the game's protagonist, who's named Madeline, but of the mountain that she is climbing. At first it seems like just a random game premise, but very soon it becomes clear that the mountain climb is an analogy to Madeline's need for a challenge, to prove something to herself, to overcome her own inner demons. Along the way there are also some interesting characters - an old woman who speaks in ominous tones, the ghost of an abandoned hotel's owner, and most importantly, Theo, a professional photographer who came to the mountain in search of the ultimate photo opportunity. Theo's dialogue is pretty cringe-worthy at times, and I hate it in general when media tries to be super-hip with lame social media references - Theo keeps mentioning his "InstaPix" account, and often speaks in hashtags - and in niche video games, one should really know better. But as a character, Theo is mostly charming, likable, and provides some much needed emotional respite from the intensity of some of the rest of the mountain's inhabitants. He's also black, which is probably another reason why the Good Gamers are nowhere to be seen. 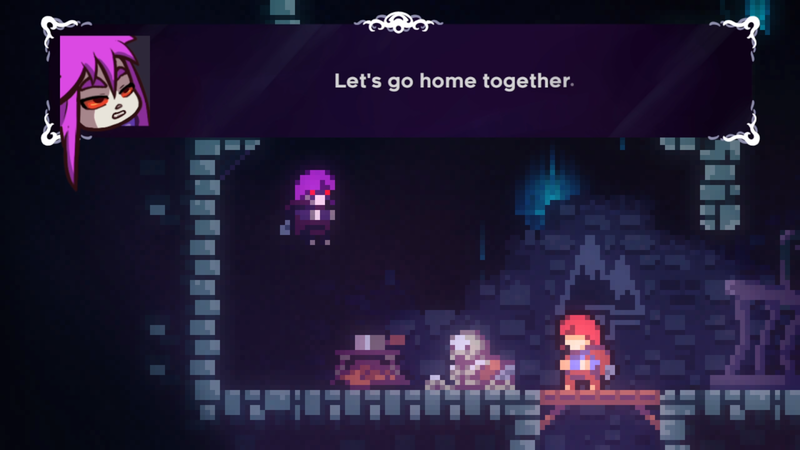 When Celeste is good, it's pretty good. It's cute, visually pleasing, and the satisfaction from figuring out how to get to a seemingly impossible to reach strawberry is certainly there. It's just a shame that the game chose to be so obtuse and so inconceivably badly designed at points that the best compliment I could give it is that I found it very interesting to try and analyze just how wrong it all went.